The Most Powerful and Inspirational TV Show to Create Emotional Balance and Transform Your Life! Have you ever felt stuck and can't move forward or have an issue that just won't go away? Learn how to get out of struggle and back into your flow. Discover the healing secrets to rid yourself from migraine headaches. End your suffering from physical pain that’s preventing you from living your BEST life, join us! Pain Release Exercise: Quickly shift your energy through an awesome pain release Guided Connection and instantly let go of the pain that holds you back, today on EmotionallyFree.TV. EmotionallyFree.TV Episode #10: LifeForce Awakening™ – How Does Healing Work? Learn how to sense Life Force Energy and discover how to speed up the healing process in a more efficient and more powerful way. Join me as I reveal how you can heal your body all at one time, rather than in separate parts. Discover why you don't need to use your hands when using life force energy. Learn how to Supercharge your life force and experience life force energy first hand, today on EmotionallyFree.TV. Learn how to transform trauma in the blink of an eye. If your past hurts are preventing you from moving forward, this is for you! INSTANT TRAUMA RELEASE: Anza Goodbar releases a past trauma. Join me as I show you how to easily release negative energy and trauma so you can become your best you. EmotionallyFree.TV Episode #08: Lifeforce Awakening™ – Be the First to Discover it! 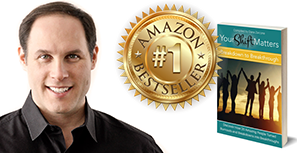 This week on EMOTIONALLY FREE WITH JOSHUA BLOOM, uncover the hidden secrets for how to awaken your inner Superhero. Is your energy low? If so, ready to find out how you can feel strong, confident and ready to take on life’s challenges? Harness your energy so you can live a life you’ll love today on EmotionallyFree.TV. Discover why it’s so crucial to be in alignment with the universe in order to attract abundance in your life. Are you in alignment? If not, this could be your answer for success. Find out what’s possible for you by Increasing your attraction ability today on EmotionallyFree.TV. Be a part of our Transformation Community today to receive the latest transformation tools, must-know healing processes and simple yet powerful experiences that will change your life. Oh…and, get our “7 Secrets to Creating Permanent Quantum Shifts Now!” for FREE when you join! We are dedicated to helping women create extraordinary lives by releasing the stagnant energy that gets in the way of having a life worth living. We work with women who show up in the world and are passionate about their own personal evolution, well being and success.